Home / advise / how to manage curly hair when you are sleeping? how to manage curly hair when you are sleeping? by precious curlupdated on 29 December 2018 29 October 2018 Leave a Comment on how to manage curly hair when you are sleeping? Curly hair needs to be cared for while you are sleeping. prior, Preservation of our hair while we are sleeping aids in length retention. As well as, reducing breakage, single strand knots and split ends. Usually, your nighttime curly hair routine should be simple because you are only using one thing, which is satin. The steps to caring for your natural hair while you are sleeping is to sleep with satin material items. Curly hair 101 recommends sleeping with satin at night only. Cotton materials will take away to the moisture that you added into your hair. As well as, the natural moisture given by your sebum. Thus, allowing your hair to be vulnerable to breakage. Satin helps to preserve the moisture in your hair, therefore, allowing you to have optimally health hair. Scarf – Cover your curls at night with a satin scarf. The longer the satin scarf the better because the entire length of your kinks will be covered. Ensure that your entire hair is covered with the scare. Depending on what you prefer, you can tie the scarf down so that the curls fall along your back or up so that it stays off your clothing. Wear A Satin Cap: In addition, you can wear a satin cap. You can wear the satin scarf and the cap if you so desire. The cap gives your hair full coverage. All of your curls will be placed within the cap so that none of it comes out. Before you purchase your satin cap to ensure that the material is 100% satin. There are some companies that are selling knock-off satin caps. Also, there are many companies selling beautifully patterned and printed satin caps. So, you can choose any beautiful one to wear at nights. Satin Scrunchies: Depending on the hairstyle that you do as well as the length of your hair, satin scrunchies are needed. Some natural place their wash and go or twist/braid outs into a pineapple. A pineapple is simply bringing all of your curly hair to the top of your hair into a pineapple. Also, some naturals use the scrunchies to keep their styles such as wash and gos stretched. This aids in preserving the style for 5 – 7 days. Sleep on Satin Sheets: If you want to take your night care very seriously, you can sleep on satin sheets. Or, if you don’t like wearing the scarfs, caps or scrunchies at night, then sleep on satin sheets. They are a great alternative of the former 3 as well as a combination. The pillowcases and sheet are expensive than the normal cotton sheets due to the material. If you can afford to purchase, then, by all means, go ahead. Or, you can go to your local fabric store and buy satin material to make your own. There are millions of youtube videos online showing you how to. Satin material costs more than cotton, however, consider the funds that will be spent like an investment in the longevity of your hair. See managing your curly hair at night doesn’t take much effort. As long as you have your satin materials. How do you manage your curly hair at nights? Previous Articlewhen to oil curly hair ? Next ArticleHow to straighten curly hair? How to straighten curly hair? 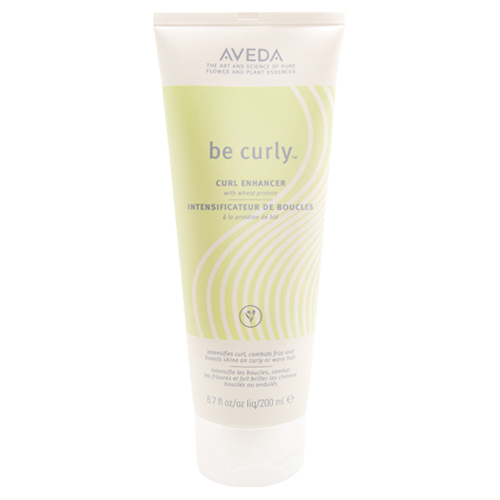 When to deep condition curly hair ? 2019 Copyright Precious Curl. Blossom Feminine by Blossom Themes. Powered by WordPress .